Well I'll say this straight up to your face, I freaking love this franchise. 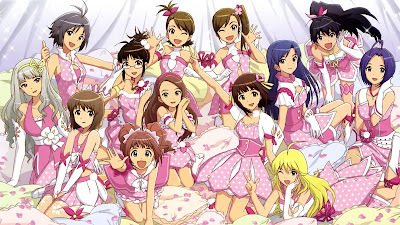 The moment I laid eyes on the anime and finished it in a heartbeat, I knew that "The Idolm@ster", was a match made in heaven for otakus. 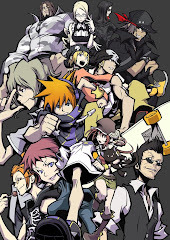 I only knew that the franchise existed before I even started on the anime, I knew there was a game for it, and not much else. I didn't think much about it, but now I am a huge fan. The characters of 765 pro are just so freaking likable...I can remember ALL of their freaking names and their individual good moments in the anime....or the songs that I like from them. When you think "The Idolm@ster", think "K-on", only on a much larger scale. A MUCH, MUCH, MUCH larger and more EPIC scale. Pick your idol! There are so many amazing choices! There are two opening songs, but since every single episode has a different ending, going through all of them is going to take FOREVER. Both opening songs are sang by 765PRO ALLSTARS, which composes of all the seiyuus of all the idols in the anime. "READY!" is the first opening, and it fits as a nice alarm ringtone to start off your day LOL. Its a pretty happy and upbeat song, if it fits your tastes. I prefer the second opening, which is "Change!". It's way catchier than the first one, and in many cases, it actually sounds even more upbeat and even more cheerful. Both fit the anime pretty well so it does'nt actually matter. 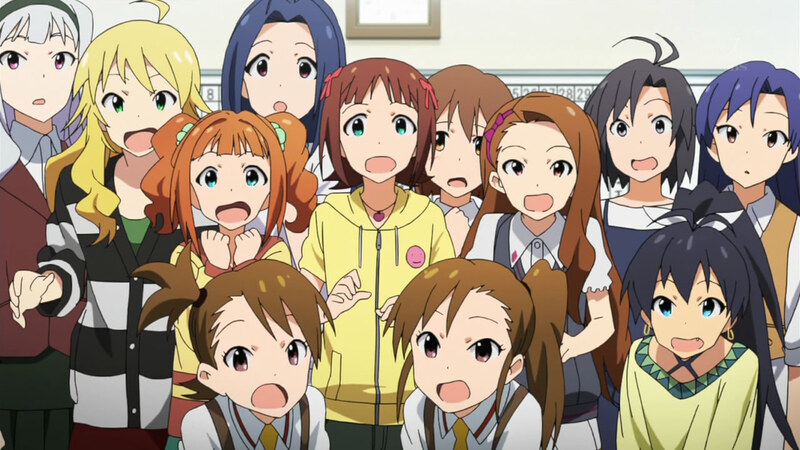 If you loved "K-on" you will absolutely adore "The Idolm@ster". "K-on" is the only show I can compare this to, because its almost the same thing, except that you have A LOT MORE characters to love this time round. I like the way this anime progressed, because there is love and screen time given to every single idol of the 765PRO agency. There is no shortage of awesome from any of the 13 idols and at times it just feels like everything was written so nicely. 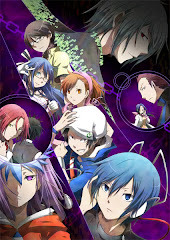 It doesn't feel like a harem in any way, so it gives off a different experience rather than it being another generic harem. And since they ARE an idol group, expect songs every episode, an while some aren't really up my ally of interests, there are quite a few songs that are pretty good. There is a little bit of something for everyone here. I'll take them! I'll take them all! 765PRO is an idol agency that casts 13 wonderful girls, but they are lacking a producer. One day a young man joins in and takes up that role, acting as a mini father figure to the girls. They call him producer, so we don't really know his true name. The main character however, is not him, not to me anyway. The anime seems to have a strong focus on Haruka, one of the 13 idols. Haruka is an airhead who just wants to spend time with her fellow idols, and the story of "The Idolm@ster" is about how the producer impacts them as a group and how they come crawling up from the bottom of the chain, to some of the most successful idols in the country. 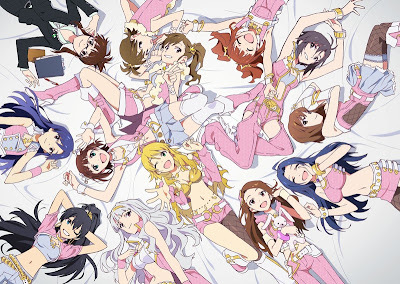 "The Idolm@ster" is just pure awesomeness. So many girls, and all of them are so likable, you really can't say no. 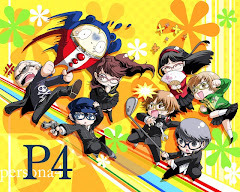 Sure I do prefer some idols over the others, but overall, everyone has just been amazing, and this was a great entry point to the franchise for me. And while I most likely will not be playing the old idol simulation games, I did pick up THREE of the recent "Idolm@ster" PSP games, and I must say as a music-rhythm game lover, those were pretty good.